But It Doesn’t Make Sense! is a free poetry workshop exploring sense, nonsense, and poetry logic. Join us to experiment, share and create some brilliant new poetry. We welcome everyone from newcomers and seasoned pros, everyone has something to share and something to learn. 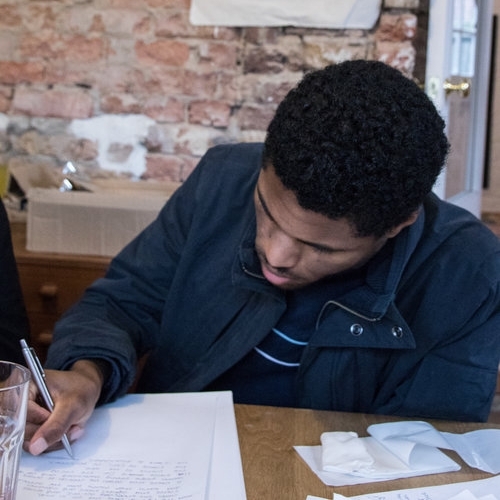 This workshop accompanies The Sofa Slam, Barking & Dagenham's first ever poetry slam. Hosted at the White House in Dagenham, the Sofa Slam follows slam tradition; bringing poetry to the people, into the home. The poetry slam is free and starts at 7pm. To find out more about this event, click here.